In the vast majority of cases, the prisoners’ families are not informed of their whereabouts, and often never hear from their relative again after they are arrested. Torture – for punishment, interrogation and coercion – is widespread. Practitioners of unregistered religions are tortured to force them to recant their faith. How do you expect to be free, if people put their religion and ethnicity as a priority. until we fight united (which will never happen)There will be no freedom. I have no appetite to fight with my future enemies to dismantle Isais regime. i hate him but refuse to fight against him with my future enemies.You need to unite? drop that ethnic and religion form the title of your political party. Under this regime, we all bled equally. If there is one he thinks bled more, try fight it alone. we are not free because of the brutal nature of the highlands. they prolonged our quest for independence siding with ethiopia, and now controlling the power, they exasperate our misery. This is the raw truth. My friend your theory has no truth to it, if you think Christians(highlanders) are your enemy, think twice. You said those in power should be removed by any means. for crying out load why did it took you 20 years and counting. the answer is easy, you and your theory of hate is lame duck. under this regime we all bled and bleeding equally, your theory help the regime than your religion. Eritrea has become hell on earth by PFDJ’s doing alone. No amount of blaming the entire universe other than the evil organization itself will change this fact. The supporters of the evil empire will keep defending it in words from the comfort of their western homes but will never dare to physically put themselves in the frying pan of their idol. Hypocrisy at it’s best. I didn’t sense anger at all, it was rather puzzlement at what could have been the motives for you to challenge this report. Suppose we both agree that there are people caught up in this abuse of human rights, lives disrupted and irreparably damaged. What would stop the Eri govt. from allowing family visitations to those incarcerated? I am really not asking anything complicated here, just a simple visit of a child or closest relative of the victim walking in and out of the place! Sanction? Boundary issue? Internal and external enemies? A simple and swift occasion for a child to hug their parent just once in 12 years? I can only think of sheer evil, short of a convincing explanation. Trust that, you and me will be left to pick the pieces, once the regime is gone. 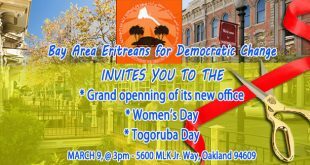 No PFDJ will be around to answer questions, no intl. organization will be there to assume responsibility, nobody! Just us. To me, it is a good deal that the PFDJ is challenged and pressured now than when it has succumbed. Leaving us with armed citizens, no constitution, no lawful transition, everything bottled up and they dissolve into thin air. You and me will stand to bare witness of the outcome. This is why I wondered as to the wisdom of your judgment to intervene in such a away. 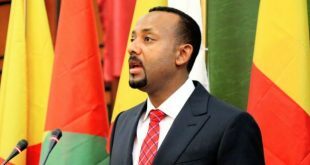 Yes, we know our border conflict must be resolved through the EEBC F&B, we know there would be zero goodwill from Ethiopia, have never had before will never do in the future. But this has far more sinister ramifications internally, and it would make sense if you’ve had properly weighed the situation. Amnesty Intl. has always been about political prisoners of one sort or the other. Their emblem is a barbed wire, take them at what they do as per the mechanic analogy. Please interview Ali Abdu if you have a direct access, he could highlight the human right in Eritrea,. I always open your web thinking you could surprise us with the interview. Interviwing Ali Abdu needs a master of all debrifing him. 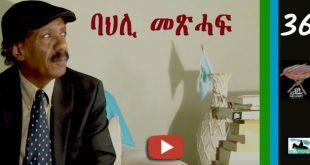 What ever he has to say must not jeopardaise the tagadalit, he must be a victim of pfdj, there is no relation between pfdj and eplf policy, etc. this needs a hell of work what he has done and not, what he has said and not for the last 22 years. Evry thing must be scrutnize before he comes to Public, if he ever comes. Are you my relative? Do you know Soloda near your fathers house? If some one complains, as awatestaff does,of the lack of freedom in Eritrea, (with which I concur), but overtly/covertly,sows seeds of ethnic, religious etc.divisions among the population instead of promoting unity and coexistence, can we not legitimately draw a conclusion that person’s or organization’s complaints is simply hypocrisy and that its true motive is disintegration of the country? Isn’t the UNSC also unravelling its hypocrisy, otherwise its true motive is killing Eritrea, when it rewards woyane for breaking International Law, and imposes crippling sanctions on compliant Eritrea? And what is the current object of Humane Right violation investigation being launched by UNSC on Eritrea? Isn’t the hypocritcal UNSC spurred by compliance of Eritrea to the terms of the crippling sanctions and is looking for fresh ways and means for keeping them in place to break the backbone of the country and people? History has burdened us to fight two pronged war: One against International conspiracy, and another, against betrayal from within. To make the matter worse, as time passes,the two forces which up now seemed opposites, are ,more and more, appearing to be the same. I hope I am wrong but definitely, time will soon expose the whole enchilata. In the meantime however, we have no choice but to stand four square and foil the conspiracy being woven and inflicted on our country and people within and without, no matter of the size and power of the forces poised against us. Remember, Suzan Rice, although wounded politically by the Libyan debacle and the death of her accomplice Meles, she still is a power to be rekoned with. 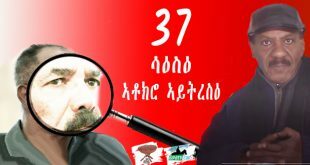 As Adhanom Gebremariam implied aptly, Isaias Afewerqi has betrayed the Eritrean cause. If he is not secretely working to undo Eritrean Sovereignty, it is highly likely that he is a modern Trotsky of Eritrea, determined to use Eritreans as cannon fodders in his War for International Socialism against Capitalism. Remember, Stalin and Trotsky parted company over whether the achievement scored in the Soviet Union be expanded Internationally; Trotsky was for and Stalin against. Stalin was of Georgian descent but Trotsky, a Jew. that is old man, the world has moved on. you must be one of the YG type. nothing to show for in life. there was a war and TPLF is holding Eritrean land illegally, deal with that fact before you take us in to 40’s and 50’s Russian history. who cares? Yes there was a war, which unfortunately was torched by Eritrea according to the finding of the Claim Commission. I also know that woyane was the one that purposely started the border skirmishes, which Eritrea ought to have taken the issue to the AU or UNSC instead of taking the Law into her own hands. 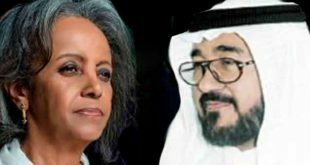 The mother of all the current plights Eritreans are going through is Isaias Afewerqi’s failure to abide by the UN Charter with regard to war. The question is: Why did he do it? I don’t think you have read the article. I don’t believe Awatestaff is complaining of human right abuses in Eritrea though , according to many of their articles, they are aware of gross human right abuses and are against them. 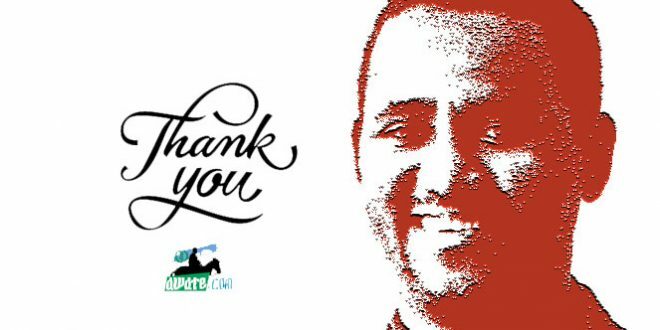 In this article , what they have done is post a summary of the recent report by Amnesty International regarding arbitrary arrests and detentions of the over 10,000 “prisoners of conscious and political prisoners”. In addition, if you concur with many Eritreans who are complaining of the lack of “freedom in Eritrea”, then why are are you accusing others, who also complain of the lack of freedom, of breeding hatred? Are you not being a hypocritical and a show-off fellow? You misunderstood my point, which is that every Eritrean must work hard to promot the unity and political consciousness of all Eritreans as a potent means of ending ?tyranny; we must not jump onto the enemies bandwagons naively taking their empty concerns for real. Dawit ; I am just wondering what exactly r u doing in this site. I mean don’t u know the room is for freedom; & justice lovers ; not for some one Muhur donkoro like you. If u would plz. Can go & preach hgdef in their site. Well, I did not know that this “room” was for “freedom & justice lovers”. Would you mind reminding the owners of this site to inform the readers as well as the writers that the room is for “freedom & Justice lovers”. Besides, who decides whether I should leave this site: You or the website owners. The website owners probably laughing at you. They would probably thinking who’s this guy telling others to leave our site. I know it has been 22 years but why are we neglecting the last 13 years of ugly war, uncertainty, no peace no war that perfected by the TPLF, and the endless attack to Eritrea. I mean, can they be factored in to the equation of 22 years? My point is, if we going to tell the story of the last 22 years, then, let’s tell it as is. We can tell only what makes look bad on the part of the government, rather give the whole story and let the reader be the judge of it. I am not defending the government; I am simply stating the fact. And the absolute fact is, it is miracle we foiled the attack by TPLF against Eritrea. You have to witness it, in order to understand the magnitude of the war. Their plan was to eradicate Eritrea and most of all the idea of Eritreanism. The fact that Eritrea and Eritreanism are still alive and kicking; that is in fact something to be proud of. I think if you explain the following different era of woyane shabia love and hate affair you can get a good deal of unswer to Your slef. 1) How shabians recurited meless in 1974 while derg started its murdering the so colled ‘elite amharas’. 2) The love affair between Brothers in blood between 1991 and 1998. 3) The enemies in blood between Brothers after 1998. I would never understand why shabia and woyane went through war in 1998 but for the last 37 years what ever happened in Ethiopia and Eritrea has been caused or influenced greatly by these two Groups. Awatestaff has presented Amnesty’s recent report in a summary form without any analysis. I don’t know what the message is. Is your message with this report this: it is a confirmation for what we have been believing? The issue of human right is contestable. Who is saying? For what purpose? Where is the voice of Africa? Human right issue is narrowly interpreted by those organization like Amnesty. Many aspects of human right is not included in their rapport. The right to live peacefully, the right to drink clean water, the right to live a decent life, the right to have basic education and health. These are the issues relevant for the majority of the people of Africa. But purposely neglected. After 9/11 the US proclaimed war on terrorism and every nation is forced to follow. Instead of tackling the root cause of terrorism which is poverty, priorities are clearly misplaced when the U.S. administration is able to mobilize 300 billion dollars for the Iraq war, but the wealthy world cannot raise even a tenth of that sum to secure fresh water supplies in the poverty-stricken regions of the South. Let me highlight some problems within the logic of your deductions. Suppose you take your car to the mechanic. And the mechanic tells you what it is that you are neglecting in the maintenance of your car that seems to be keeping your vehicle in poor condition. And you dismiss the mechanic’s advice because, according to you, the mechanic doesn’t seem to care about the cost of living, the overall employment situation in your area, the persistent health problems you have been undergoing, your children’s educational expenses….who is being unreasonable here, you or the mechanic? There are different intl. organs that produce summary reviews on the different issues you’ve faulted the Amnesty intl. report for omissions. Unfortunately, that emanates from your lack of understandings as regards the brief, scope and intentions of the work of Amnesty intl. They deal with issues of Human Rights Law (HL) within national borders, they don’t even deal with intl. Human Rights Law (IHL) – that is the Red Cross’ area of expertise. The AI’s focus of operations is actually limited to the political component, for the most part, of the full spectrum of HL (human rights Law), which includes social, economic, political and cultural aspects of HL as defined by the universal declarations of human rights by the UN and other continental and regional bodies. So, instead of dismissing what they say because they didn’t step out of their brief to mitigate an evidently dismal records, you need to engage them by avoiding qui pro quo as much as you can. Your last paragraph, comparison with US, betrays the fact that you do accept the charges, and are trying counter argue your defense by framing a perceptual contrast with what you view as a bigger evil. That is, to my mind, an intellectual dishonesty, a cardinal sin that makes it hard for anyone to debate with you in good faith. Upon reflection, I think I owe you an example too. Take for example that the AI report states that there are about 10,000 Eritreans incarcerated without due process, in terrible conditions in an unknown locations. Instead of doing so however, you chose to talk about issues outside of the express points of concerns in order to explain away the issues at the expense of those it is intended to make the case for! What do you gain by that? You don’t need to be angry with me. This forum is open for dissipating different opinion. Throwing such strong words is not necessary. It just shows who you are. First,I don’t think you know that AI have expanded its territory to include those human rights I mentioned in my last post. It is in light of this I’m asking why they didn’t include the other aspect of human right. That doesn’t mean in today’s Eritrea there is no human right violation. There is a lot. It is a fact that repeated many times. I don’t think any person with a good conscience support such kind of violation. But when an international organization took the subject I expect it gives us the whole picture because they themselves say that they are working for those other human right issues as well. The human right issue is black and white for those who honestly care about the plight of the people. Your Isaiasque line of questioning by whom, for what purpose and so on, to trivialize and make the human right issue in Eritrea a gray area is sickening. Those on the know about the EPLF intrigue will tell you that what is happening to the Eritrean people is an expansion of what was happening to the Tegadaly in the field. The G-15 know full well the atrocities they were part of , but when they decided to mend the mistakes what they miscalculated was the DIA will not dare do what he did in the field under the prying eyes of the “gallant” Eritrean people inside Asmara. How wrong they were. My friend your country Eritrea that you so much trying to defend is a failed state, the damaged inflicted by your government so deep that it will last for decades. The fact that many people are questioning even the validity of the very struggle that was waged by the people for freedom is the fault of PFDJ. The 10, 000 political prisoners is a very conservative estimate by AI. There are still political prisoners from the late 70 in the dungeons of PFDJ. There are innumerable of sad thing that happened to Eritreans over the years, but the saddest thing that happened so far is May 24, 1991. This day should be mourned not celebrated. 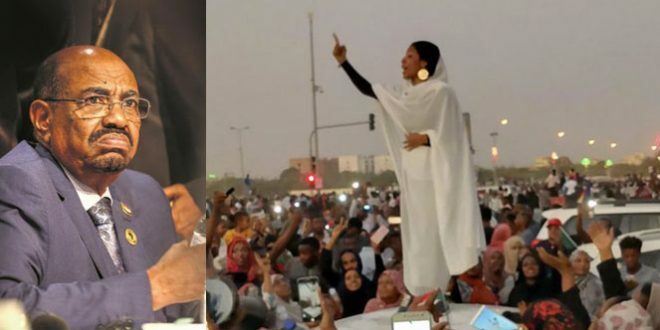 These strong words is not to question the just struggle that generation of Eritreans have waged, rather it is to bluntly tell you that this struggle was hijacked by EPLF and May 24 was the day they were crowned, hence this day is a day of mourning. Anyone who tries to sugar coat as is a liberation day, it just EPLF “aykAlywon” or they have suddenly changed to monster is trying to be politically correct. Anyone who claims to be a human being must be ashamed to doubt the torture of Eritreans by the so called “liberators”. In this weekend’s ELF/EPLF veterans Dardasha/ILALL, one of the participants came up with a simple assumption in which Isayas unilaterally entered into non-divorcing marriage with Eritrea after independence, and had many children. Another added saying “Let me add my two cents to the first item of marriage, that the husband is playing the role of a cruel husband and father.” The discussants agreed not to disagree so long it was also assumed that the husband was starving the family and that not only he did not care about the children but also he did not treat them fairly and equally. 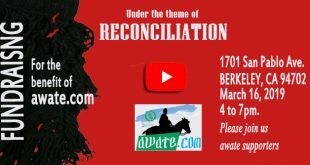 The table discussed and concluded that Isayas was indeed in conflict and discord with the family (Eritrea and its children) as well as with the world. One of the veterans asked, if life really ended with the children before it began? Another added that Mother Eritrea was not respected and felt like she was a piece of meat and the children were close to extinction. Some in frying containers, some trapped in endless harsh journeys, some crossed into safety and when found no helping hands they threw themselves back into worse situations. And, those in prisons are subjected to harsh and inhumane treatments at the hands of their comrades. A typical father- in-law would confront the abusing husband. The mother-in-law won’t care seeing her daughter in an empty house, ill-clad and ill-nourished but when she knows that the children were no more there, her eyes would well up with tears because she was pinning her hopes on them to beat the odds. To outsiders, if she were accessible, reading her face would have told the whole story about the mother’s situation and the conditions she is in. To the Eritrean diaspora, the escapees are the face of mother Eritrea. The escapees chose to change their fate by leaving the country but in most cases they wouldn’t dodge the fate. Just from trouble to trouble because Isayas’s horsemen are lassoing them to their fate. No one likes what we read on the face of mother Eritrea. And, no one frees himself/herself from what is happening to our youth and their parents. We are also responsible because our silence is a sign of no objection to what is going on. We can have narrative differences but we all feel and care for the mother and its people. Whatever the difference, let’s give voice to our narratives in our own ways by expressing our anger and showing our supports to protect those endangered in the no man’s land and to save those in danger of drowning in the high seas. Only if one cares and feels the pains of the mother and its people, gives voice to their sufferings. 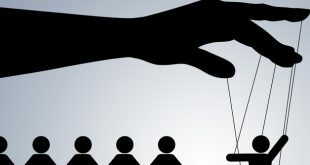 The higher the voice in one’s mind the higher the impact on the desire to take his/her disapproval to cyber forums, demonstrations, electronic-democracy, etc. One of the discussants reminded how our struggle against the colonizers was reinforced by knowing our friends and foes. The opposition should define and tell us the friends of our people. Those who are resuscitating the dying dictator are our foes. There are internal and external foes, which can be described as the people above him and under him. Those above him are the governments that are financing his abusive government and those under him are the generals, officials, embassies, and the pro-Isayas diaspora who are playing a role in giving life to his political repression and continuance of his projects of lassoing and ending our youths’ life. To emphasize our opposition, we should react emotionally. Some of us are overreacting and some of us underreacting. Some of us focus on the past and present and some of us focus on the present and the future. Although those who are mad at those (before and around Isayas) who made Isayas into a monster are focused on the past and present, the other group is focusing on those who are above and under Isayas or on the present and future of mother Eritrea. We can say, at least the two groups have a mutual focus on the present Eritrea, where the moral of the people and the rule of law are in shambles. After knowing our stands and identifying why we differ in our narratives, still as caring people for those who are suffering under Isayas’s rule, we should know how to develop new relationships that can successfully emerge to serve the victims. The sufferings of the escapees should be our sources of sympathies and connections to help them out. And, not to be apologists for not being in a position to extend our hands in their time of need. Indeed, we should be overreacting to their ear-splitting calls of SOS in the high seas and in the no man’s land, where they are facing slow death from starvation and fast death from drowning and knives. Where are we, guys? One of the discussants asked. Pockets of opposition won’t help here. Without coming together, we will never develop our grasp of the reality on the ground inclusive of the youth sufferings and family disintegration that Isayasism is causing. As partners in the fight against the tyranny of Isayas and to give voice to the voiceless, we should dance close and together to raise our voices for the voiceless. 1)Eritrea shall prevail despite the present Challenges,we Will solve our own probleem on our way. 2)One nation,one people : no chance for religious separatists in Eritrea, dream on…..
6) We shall leave the train when we arrivé at the right station. It took Ethiopia 3000 years to gain freedom so why can’t Eritrea whose citizens abandon her only in thousands per week be allowed to wait 3000 years? What do you expect from woynae hired guns, Woyane are trying to pressure Eritrea to accept what they demand instead of honoring the final and binding decesion of Internation court decesion. The Amnesty, Human right etc are serving the interest of Woyane. Regarding human rights etc about Eritrea do you think they care? Nice,Amnesty Weyane,Human right Weyane, America Weyane,Ero-Union weyane, Did you understand and believe that weyane is this much strong and your Boss. You don’t understand yet what is the real problem of eritrea. Isayas is weyane,ali abdu was weyane,Osman is weyane They don’t need to resolve the problem with ethiopia,because if that issue is resolved ,they can’t cheat you saying”you will be eaten by weyane”.and you will turn your face to them. I don’t understand why people criticize articles such as this. While I do believe that some media is portrayed horrible because of western media, the facts are all here. There are people suffering and being denied basic human rights, young and old people risking their lives and walking for miles in hopes for a better future. When a government denies it citizens basic human rights and leaves no room for an opposing party or thought, how can people criticize those that bring this to attention, and how can this type of government have supporters? Recep Tayyip Erdoğan, Leader of the Turkish islamic justice and development party. 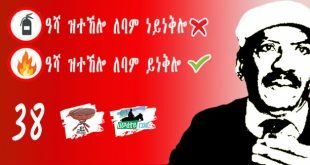 What is the end station for the “Eritrean Islamic Party for Justice and Development”? Can we have a harmonious and cohesive nation post- Isias? Or are we going to see what’s happening in Egypt or worse Syria, repeated in Eritrea? The opposition is weak because, all the common people see is power-struggle. Is the alternative better than this regime? All parties should try to appeal to the population as a whole. There should not be any religious parties (No Christian Nor Muslim) in a fragile nation. A Conservative party that unites likeminded Eritreans from all walks of life is acceptable (they won’t get my vote though). No ethnically based parties can achieve their goals alone, unless minority rights are accepted by all the political parties. A mutually agreed upon roadmap (Short term and long term) to democracy and democratic institutions. 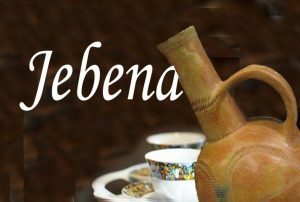 The Language issue is sensitive to all Eritreans (No temper tantrums please or I’ll propose G’eez for religious purposes) and it needs to be resolved in a referendum. Eveybody must have a say on what the character of the nation should be. We don’t have to learn everything from the west or the east. STOP learning for a second and start thinking creatively. Don’t limit the history of Eritrea to the last 100+ years of misery. It’s not helpful, it leads to a dead-end. Don’t forget Eritrea is just a creation of Europeans who did not have our best interest at heart (They didn’t do it for you Niggers). If we can’t analyze our past and present critically and honestly, we can’t build a solid foundation for co-existence in the future. It’s futile to use words like sacred or taboo, you are just exposing the fragility of the nation and sowing the seeds of oppression once again. If there’s no solution, all options must be on the table, Including peaceful separation. No matter how many we lost fighting for independence, just to avoid future suffering. A public debate between all political parties would gain them attention and give the movement momentum. No more backroom deals, it only creates unnecessary suspicion. The mind boggling assertion of isaias supporters is that isaias at least is not an ethiopian other wise they know isaias exceeds mengistu’s brutality by all standards. These arbitrary arrests and what followed in these horrible prisons that terrorize the majority and force them to kneel for pfdj or leave to the unkown. At times families, friends, colleagues do not know if their loved ones escaped Eritrea or still in the hands of isaias’ torture cells. Many do not discuss when they leave the land. This is a valid observation that I fully agree with. The reason, I think, is that the diaspora landscape of the Eritrean society is under firm control of PFDJ and its operatives. Those who tried to resist such control, as we have seen over the last decade, succumbed under bewildering levels of rejection by their diaspora compatriots, because they were seen to compromise the future of the nation by taking the blunderer’s mantle vis a vis some key issues. They refused to acknowledge the border ruling implementation, instead only elected to focus on the part of the ruling where they thought would damage Eritrea more (EECC). They told Eritreans their children who died in the war of independence were terrorists and their mother’s Komaro and their children Nazi youth of Africa,,,, this is on top of the ethnic, regional and religious divisions they dwell upon. To Eritrea on and to people like you! It’s amazing to see you and people like you blaming the messenger, be it Awate or AI. Stick to the issue at hand, if you really care about Eritrea and want to change the negative press to positive, open your eyes. I doubt you had read the whole report and analysed it, carefully. I also do not think any right minded person be blind or want to be blind like this, and support this dictator at any cost. Enough is enough!! Awate couldn’t wait to post this US sponsored lie. Hey, he who post FIRST. anything negative about Eritrea get paid first. It is really amazing a website that brags of being balanced fails to mention the monster that is USA. How do you spell ego with no shame? Your view of present situation in Eritrea is perfectly representative of many Eritreans, mostly PFDJ supporters. You try to cover every thing if it is negative and always look into a scapegoat in the south or the USA, EU, AU, etc. Believe me, such behaviour will not help to solve present problems in the country. You and your likes also believe that your “enemy” revels in your predicaments. I am sure Ethiopians have no interest in this. They find no pleasure at all to see people suffering; not in any part of the world not alone in their neighbour Eritrea. So it is wise to abandon the stance you have: “Let us keep it secret inorder not make our enemies happy”. However the wisest thing to do is to admit mistakes and make amends for them. The sooner the better. Every evil that innocent Eritreans are going through must be exposed and dealt with quickly. If one doesn’t admit that one has a problem, then there is no way one would seek any solution. You don’t find a solution to a non-existing problem. Really? I mean you are going to just pretend like THE EVIL EMPIRE does not exist? By it is own admission US has sponsored or directly involved in the overthrowing over 70 government. Wiki leak is a good source of information for those who are seeking the true face of the evil EMPIRE. It is really hard to ignore the fact that Ethiopia, the source of chaos in East Africa gets funded to 3 billion every year. Which in turns use the money to promote the American and its friends interest instead of Africans. Who can dispute this fact when USA itself proclaims it? Who are u defending? I am defending the defensles; I am defending the voiceless languishing in primitive prisons over a decade now without any judicial process in Eritrea. I am defendin Dawit Isaac whom I knew personally. 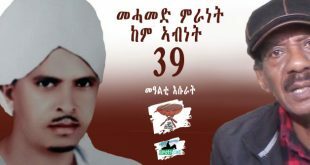 He was true Eritrean who had a burning desire to give his share in building democracy in the young Eritrea. He and other in prison today are not less Eritreans than you are. In Ethiopia also we have, though little better, journalists in prison on doubtful terrorism charges. There was some kind of judicial proceedings but the punishments of lengthy prison sentences are inhuman and unacceptable. I am defending the youth that is suffering in the Sinai in the hands of uncivilized Arab beasts. My heart bleeds when I read and hear about all the evil that is being committed on our Hizbi habesha in Arab deserts. I am defending the powerless and helpless Somalis who could not put their country in order due to various reason over 2 decade now. Lastly my brother I want to tell you that you are still in denial about the root causes of our bad relations in the region. Do not blame the US for the US helped Ethiopia in Somalia for a reason. Try to find out the reason by yourself. You see, we have to stop talking at cross purposes and face the truth head on. It is not a shame to acknowledge ones mistakes and move on correcting them. We can do that only if we honestly identify the problem. Here is what the greatest Einstein used to say: “It takes 50 minutes to identify and understand a problem; the solution to the problem is then given in just 10 min”. Look, it takes 10 minutes to solve a problem. But 13 years has gone after the end of the dirty border war between two villages that share the same waterhole to find a solution. No solution has been found and there is none in the near future. What does this tell us? Well, we haven’t taken 50 min to study and identify the problem sitting in around a table under civilized norms. We are looking the problem somewhere in the US or at the EU, AU or in Qatar. No brother the problem is right within us at home. We need no Qataris or Egyptians to solve our problems. As last words I want to remind you what we say in our culture when we think someone has hurt us: ”What did I do to him that he hurt me like this? ( Entay GereyoEye antum Kemziy Geyru zibdleni zelo?). Yes, can you now tell what you have done to an Ethiopian that an Ethiopian is doing to you? It is all my heartfelt hope that the suffering of our peoples will stop soon. Good luck to our region. Bye. Well maybe your thinking is the problem, since you think USA has nothing to do with Eritrea predicment. Eritrea has been a complete failure. It’s very sad even for an observer let alone a citizen. May He help you guys out. But we thank him for creating a situation that exposes the real enemy of our people and country. The Neo-Andnet group should also be held responsible as equal as the regime for being an impediment to the desperate and urgent solution. Why on earth do you have to blame someone else for your problems, Zegeremo? Have not enough problems been caused to those people because of such a cart-horse-view of things? When are we going to learn and open our eyes? Why are you afraid of thinking of a possible, and probably the best, solution-coming back home like the prodigal son, even when you are swimming in the sea of both darkness and fire? Therefore, those who do not learn from the past are pretty much already doomed.